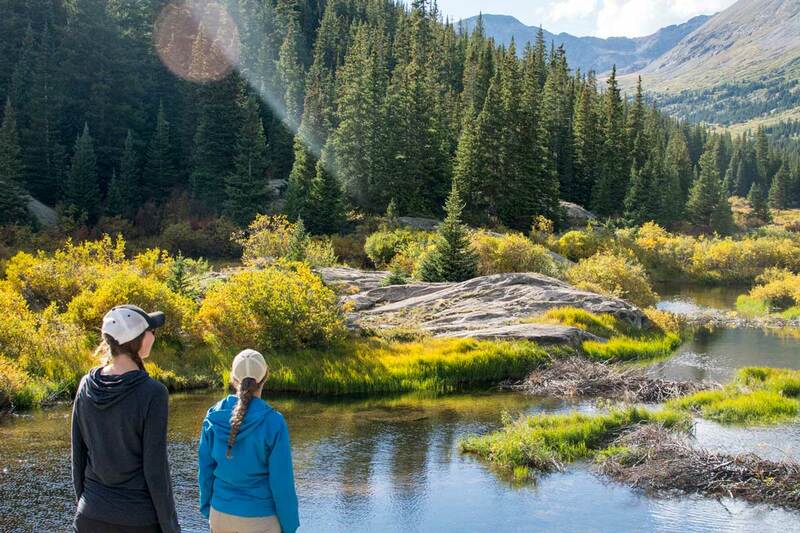 Stretching between the Front Range and the Rocky Mountain high country, Park County is a less-traveled pocket of Colorado, but no less awe-inspiring. Descending into this high river valley, you’ll be greeted with landscapes that call to mind the classic Westerns: vast ranchlands dotted with grazing cattle, oxbowed creeks and weathered homesteads that seem frozen in time — all surrounded by fourteeners (peaks exceeding 14,000 feet). Whispers of Colorado’s mining, railroad and pioneer history echo around the South Park National Heritage Area, which encompasses most of the county. What drew settlers, prospectors and leisure travelers here over a century ago draws visitors still: beautiful terrain rich with possibility, limitless opportunities for recreation and endless views that are purely, ruggedly Colorado. 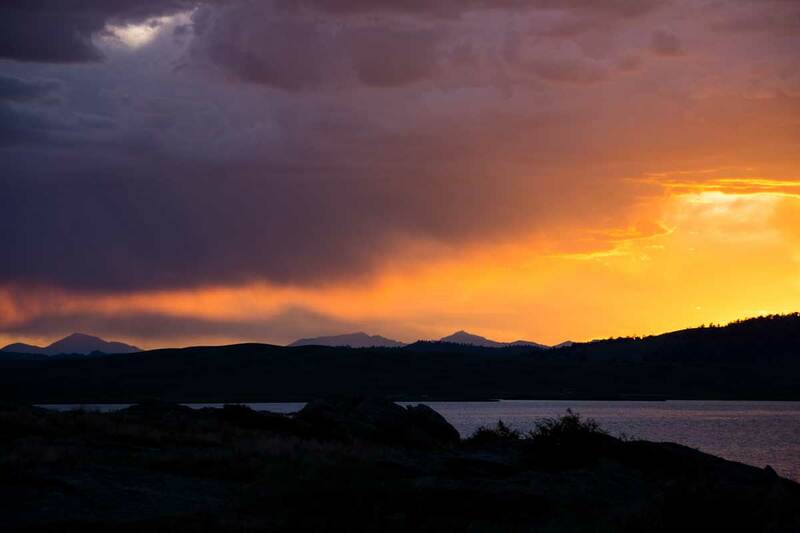 With its proximity to Denver and Colorado Springs, Park County makes an excellent easy getaway. 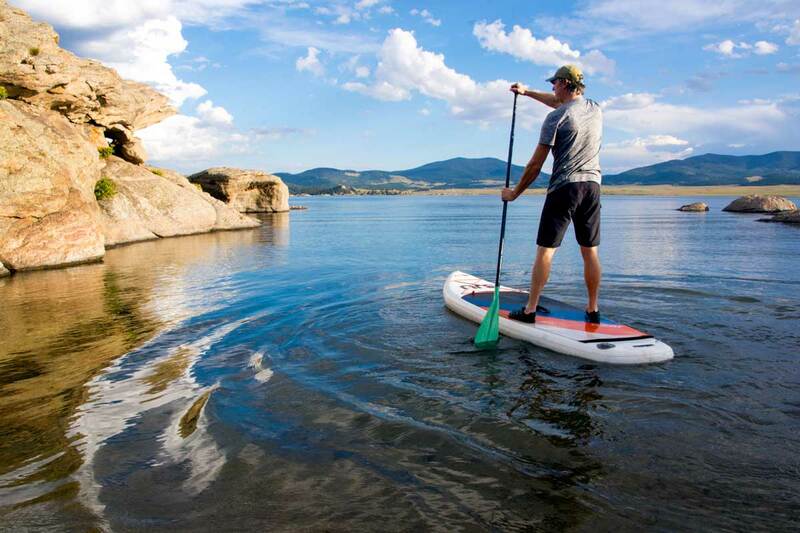 Whether you’re a history buff or an adrenaline junkie, the 11 distinctive communities of Park County can easily fill a three-day itinerary. Here are some ideas to get you started. Begin your journey with an early lunch in Pine Junction, situated just 40 miles west of Denver on the impossibly scenic Highway 285. You’ll have your pick of eateries, like Crossroads Pub & Grill or Zoka’s Restaurant & Bar, which has a dog-friendly deck. 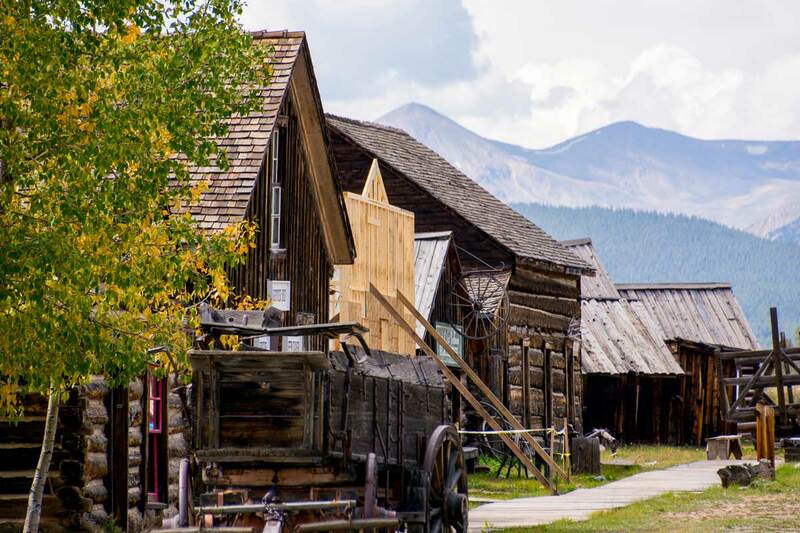 Follow in the footsteps of early Colorado prospectors on your way to Jefferson, a town that sprang up with the expansion of the old Denver, South Park & Pacific Railroad. While you’re there, pay a visit to the circa-1880 Jefferson Railroad Depot. Head back toward Grant with a stop at Kenosha Pass, pulling off to hike one of the many trails in the area. If you’re visiting in the fall, consider yourself lucky – this high-mountain pass is clad in shimmering aspen stands that explode into a sea of gold when temperatures cool off. In Grant, stop for a late-afternoon snack at The Shaggy Sheep. Time seems to stand still in Shawnee, a former resort town that drew trainloads of Denverites around the turn of the century. The resort went bust in the 1950s, but well-preserved buildings from the era have earned Shawnee a designation as a Park County historic district. Continue on to Bailey to check into the Bailey Lodge, your cozy home for the night. Explore the town’s intimate art galleries or stroll through McGraw Memorial Park, a 20-acre outdoor museum that’s home to historic structures, hiking trails and a keystone bridge that crosses the South Platte River. Grab dinner at Rustic Station Restaurant, 285 Pizza Pies or Coney Island Boardwalk, a roadside favorite housed in an iconic, hot dog-shaped building. Set out on a scenic drive to Alma, the highest incorporated town in the U.S. at 10,578 feet. There are plenty of good reasons to stick around and explore — right after you get your caffeine fix at Alma Coffee House. A former mining hub, Alma was home to the storied Sweet Home Mine, which failed in its quest for silver but found glory 100 years later as North America’s only source of gemstone-quality rhodochrosite. A recreation of the Sweet Home Mine can be found at the Denver Museum of Nature & Science, along with a trove of blood-red rhodochrosite that was extracted here. 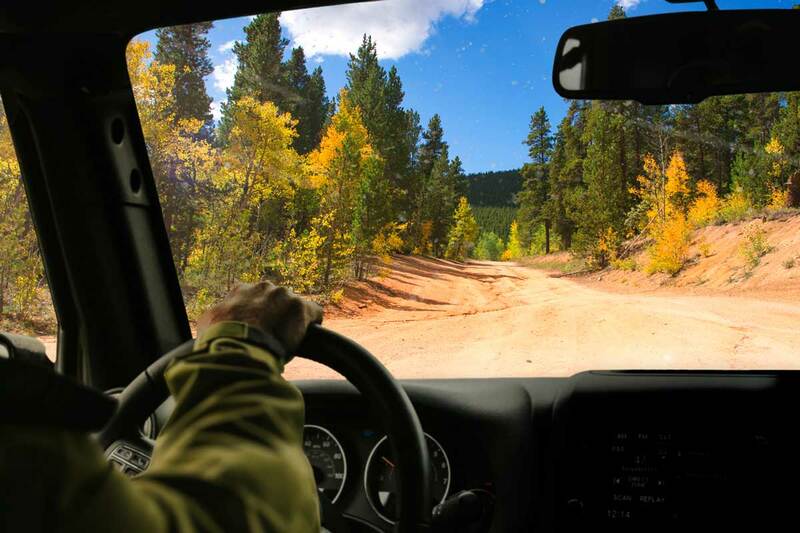 Gather your courage (and a 4x4 vehicle) for a thrilling off-road adventure up Mosquito Pass, the highest motor vehicle pass in North America. Or, explore remnants of the region’s rough-and-tumble past at the Alma Cemetery and ghost town of Buckskin Joe, an abandoned mining camp that boasted saloons, gambling halls and a colorful cast of characters in its heyday. 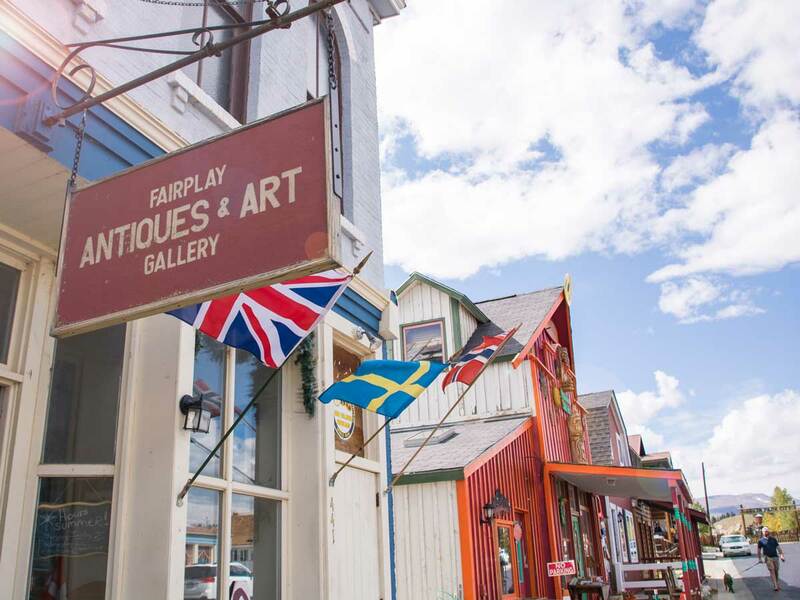 Make your way to Fairplay to browse the art galleries, shops and eateries of Front and Main streets. If the historic storefronts framed by distant snow-capped mountains look familiar, here’s why: Fairplay inspired the fictional hamlet of South Park on the long-running Comedy Central TV show. 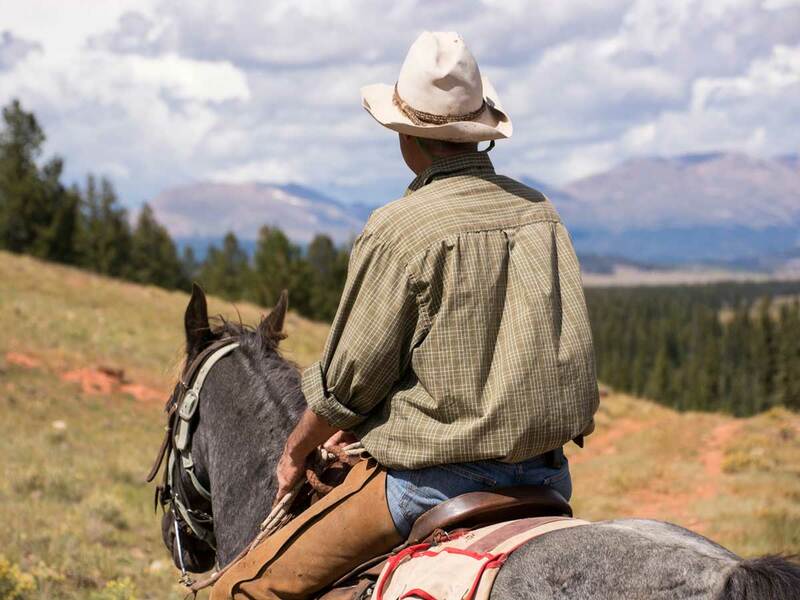 Six miles from town, take an adrenaline-pumping ATV tour, leisurely horseback ride or both, with well-priced packages at American Safari Ranch (be sure to book in advance). When it’s time to turn in, you can stay in a cabin or lodge room at the ranch, or choose from an abundance of charming options in Fairplay. Try the rustic Hand Hotel B&B or the Fairplay Valiton, which occupies a historic 1923 building. For dinner, find hearty fare fit for a ranch hand at South Park Brewing, Millonzi’s Restaurant or the Brown Burro Café. Fuel up with coffee and breakfast at The Java Moose or Dream Stream Cafe & Lounge before gearing up for an angling adventure. 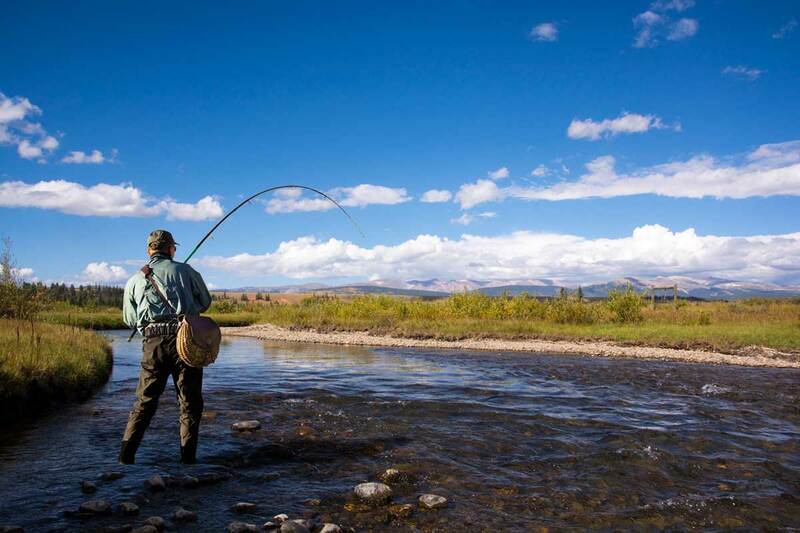 Home to more than 50 miles of Gold Medal trout streams, Fairplay is revered as the trout fishing Capital of Colorado. Fishing not your thing? 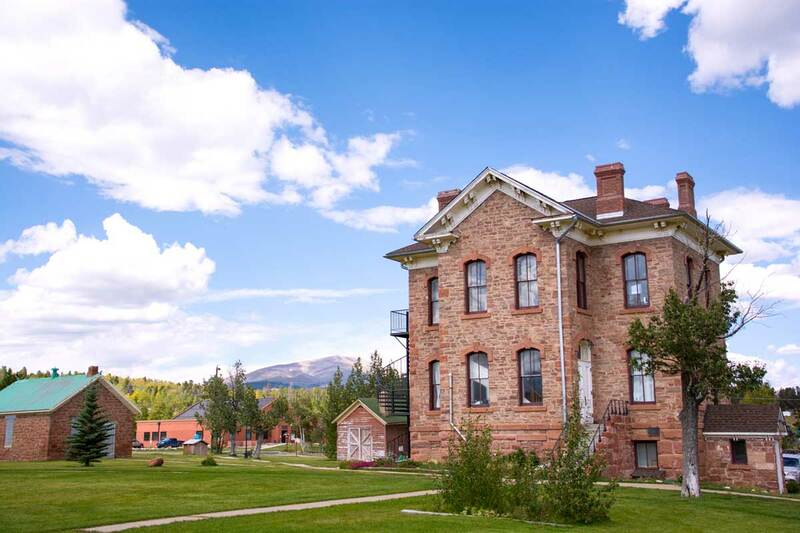 Step back in time at South Park City, a recreated mining town on the edge of Fairplay that consists of 40 historic buildings furnished with artifacts and antiques. Cruise up to Como to see more mining-era structures, including the Como Depot, once an integral stop of the Denver, South Park & Pacific Railroad. There’s also an old hotel, saloon and newly preserved roundhouse, all part of Como’s ongoing preservation efforts. Order a buffalo burger for lunch at the Highline Café & Saloon in Hartsel,where you can also drop a line on the nearby South Platte River. Another former mining town, Guffey, also has still-standing 19th-century structures that are worth a visit. 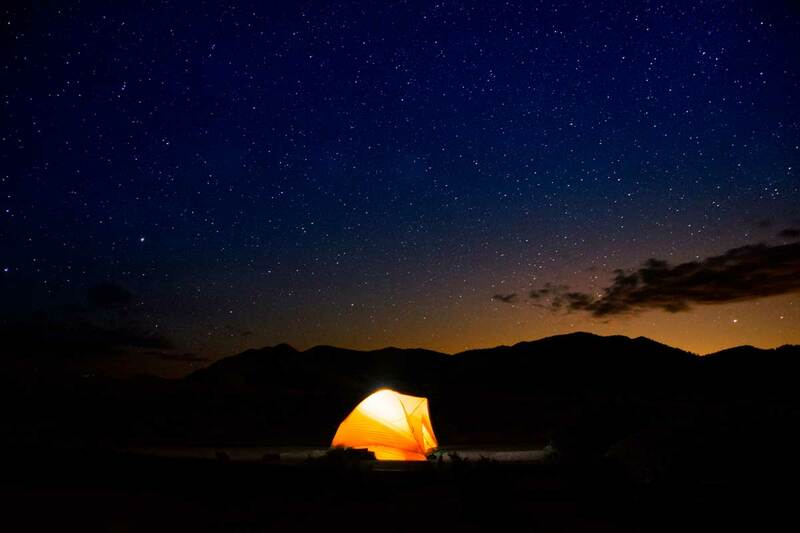 Pick up supplies in Lake George for a night of camping on the shores of the sparkling reservoir at Eleven Mile State Park. Activities here include five miles of hiking and biking trails, boating, canoeing and more great trout fishing. Bring your binoculars: This area is great for spotting pronghorns, porcupines, deer and rare bird species, including bald eagles, American peregrine falcons and white pelicans. Or, simply peer into landscapes that have been left, thankfully, just as Colorado’s earliest settlers found them. Planning a Trip in Fall or Winter? 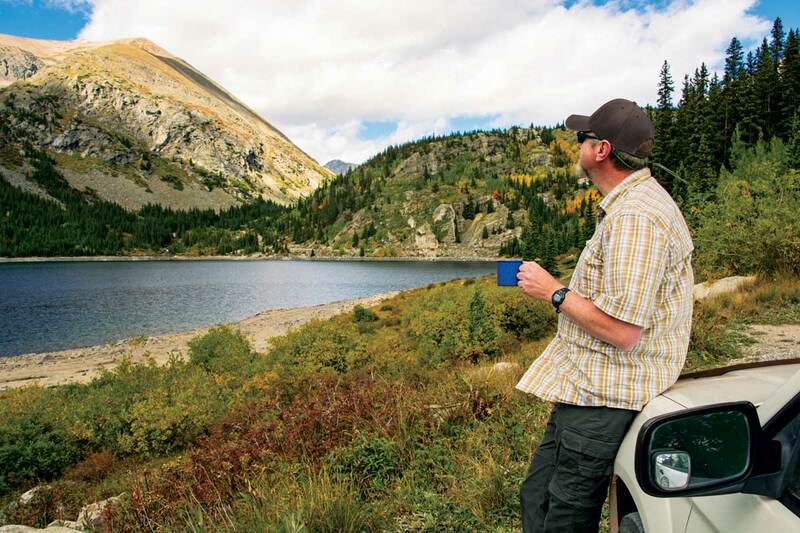 Park County is a year-round destination that is equally lovely in the fall and winter. Vivid foliage enhances Park County’s epic alpine views in the autumn, particularly on Kenosha and Mosquito passes. 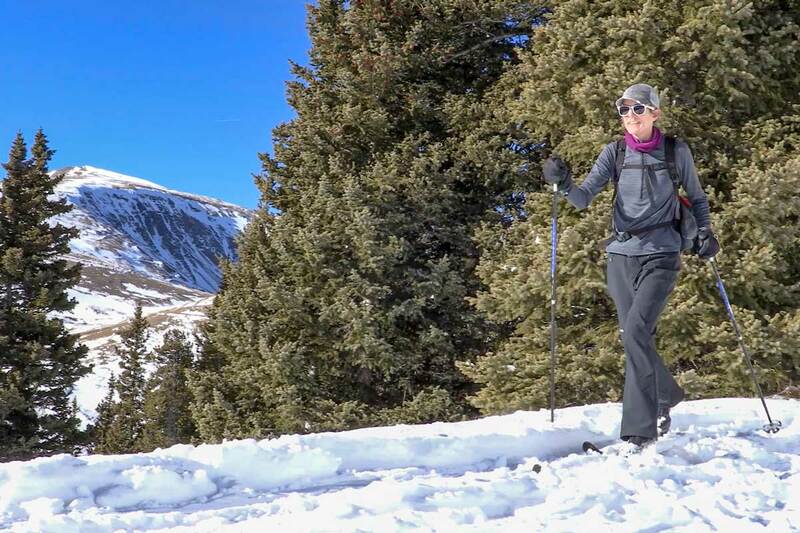 Come winter, the area’s hiking trails transform into snow-covered pathways perfect for snowshoeing and cross-country skiing.